I love home decor that reflects my family. The Pink Monogram offers hundreds of high quality monogrammed gifts, including home decor, fashions, jewelry, shoes, phone cases and more. I even saw a monogrammed whiskey barrel on their site! My favorite is this Acrylic Single Initial Script Wall Monogram in W. It is available in four sizes...10 inches, 12 inches, 14 inches, or 18 inches. There are lots of colors to choose from so it can match any decor scene! Plus, since it's made of acrylic, I can hang it inside or outside. Standing 18 inches tall, this monogrammed initial looks impressive on my fireplace mantel. I haven't hung it up yet because I'm still deciding whether I should hang it on my front door, the outside front wall of the house against the red brick, or maybe above the headboard in our bedroom. There are so many options, but for now I'm really enjoying it on the mantel. Doesn't it look great there? With this single initial wall monogram, you can choose to go with your first initial or your last initial (or get both for an even more impressive decorative display). You could get one for each of your children's rooms with their first initial and choose their favorite color to make it even more personal. Mother's Day is coming up soon, as well as graduation, so consider the single initial wall monogramm or perhaps another monogrammed gift featuring their full name or all three initials. The options are nearly endless! Visit www.thepinkmonogram.com today to find your favorite home decor items and gift items! Be sure to connect with them on Facebook, Twitter, Pinterest, and Instagram. Then enter below to win your very own Acrylic Single Initial Script Wall Monogram in your choice of letter, color and size! Win a Wall Monogram from The Pink Monogram! To enter, just fill in the Rafflecopter form below. You must be at least 18 years old and reside in the USA. Only the first entry is mandatory; bonus entries increase your chance to win. Don't forget to tweet every day for lots of extra entries! Giveaway ends at midnight on 4/20/2014. Good luck! I love software that makes my life easier. 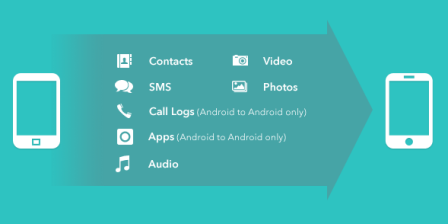 Wondershare MobileTrans allows users to transfer files from one phone to another in one click. I can't even begin to tell you how many phones I've owned over the years and manually transferring everything on one phone to another is a nightmare that takes way too long. With MobileTrans, I can transfer my contacts, messages, videos, and audio in just a few minutes. If both phones are Androids, I can also transfer call logs and apps with MobileTrans. It's a great way to make sure I'm not leaving my data behind when I change phones! MobileTrans works with almost every type of phone, including Android, iPhone, Nokia, and BlackBerry. Click to see if your device is on the list. MobileTrans is not limited to just transferring content from your old phone to your new phone. Think how easy it would be to transfer all those great photos of your kids on your phone to your husband's phone so he can share them too. You could also hook up your phone to the grandparents' phone to transfer all those adorable videos of the kids growing up. Plus MobileTrans allows you to back up your phone data to your computer. Visit Wondershare at https://mobiletrans.wondershare.com/ to learn more about MobileTrans and to get your copy. You can download the FREE trial just to try it out, plus when you purchase the full program you are covered by a 30-day no-risk guarantee. Be sure to check out all their fantastic software programs designed to make your life easier. You can also follow them on Facebook and Twitter so you're first to hear about new products and special promotions! In the past, I most often reached for a pair of sneakers when I had a busy day scheduled. Now I reach for my Hotter shoes! They are just as comfortable as my old sneakers, but my Hotter shoes are much more fashionable. I can wear these all day long whether I'm shopping for craft supplies, volunteering at the food pantry, or even traipsing across the country on a vacation. Designed for a perfect fit, these Hotter moccasins are made of super soft leather, with a flexible lightweight sole. I love all the extra cushioning inside and they are so easy to slip on and off. Hotter is Britain’s biggest shoe manufacturer, making a pair of shoes every 20 seconds. I'm so glad they have branched into the American market because I love Britain’s favorite comfort shoes. This pair of shoes is called the Honiton and these comfortable shoes are part of their new Spring Collection. I really like the tassels and top stitching, plus the breathable leather means I don't have to wear socks, but this design of shoe looks great with socks too. I've worn them with and without socks, but in the heat of midsummer, you won't find me wearing socks at all. This style is available in black, tan, dark red, and beige. Every gal needs a cute, comfortable pair of everyday moccasins! They look great with jeans, shorts, skirts, slacks, and dresses. I've found myself reaching for them again and again. They've actually gotten even more comfortable the more I wear them, because leather shoes tend to shape to a person's foot. Hotter Shoes are wonderful and I highly recommend them for style and comfort. Visit www.hotter.com to purchase these Honiton moccasins and to see the entire Spring Collection of great shoes for men and women. Connect with them on all their social media pages - Facebook, Twitter, Pinterest, Instagram, and Google+. When you're ready to buy, use the special discount code PKCTEN for 10% off your purchase plus FREE shipping! (This offer cannot be used in conjunction with any other promotional offer or on Sale or Factory Clearance items and gift vouchers.) They also offer a 100% Happy Guarantee which makes exchanges and returns hassle free. My daily bike ride is more than just exercise. It's also my thinking time, my praying time, and sometimes my singing time. Even though I ride during the daytime, I have to be very aware of cars, other cyclists, children and even pets. The thought of wiping out on that pavement makes me cringe. The Commuter Cuff gives me one less thing to worry about while I ride! The Commuter Cuff is what I consider a high-class replacement for the rubber band. When I was growing up, using a rubber band around my right ankle was the only assurance I wouldn't get my pants leg all tangled up in the chain. The Commuter Cuff looks so much better and does a much better job than a rubber band. It also keeps chain grease off my clothes. The design of the Commuter Cuff allows me to completely wrap my right ankle, including the pants leg and even the laces. Tangling a shoelace in the chain isn't fun either! The velcro closure makes it easy to put on and take off, plus it makes it easier to custom fit the ankles of everyone in my family. The Commuter Cuff would be perfect for those who bike to work or school, as well as for those of us who like to ride for exercise and enjoyment. It comes in black, khaki, denim, alert, and slate, plus there's a reflective strip for night cyclists. I love it! What a great gift for a cyclist! Visit www.exposedseam.com for more information, to view videos of the Commuter Cuff, and to place an order. Peace of mind while you ride for just $15! Be sure to connect with them on Facebook and Twitter too. I definitely recommend the Stay Sharp Commuter Cuff! Preheat oven to 400 degrees F. Wash potatoes by soaking in salted water for 20 minutes. Remove to paper towel to dry. Cut potatoes into small bite-sized pieces. Pour 2 tablespoons of Olive Oil in a plastic zipper bag, add potatoes and gently toss until oil coats potato pieces. Add to the bag: 1 teaspoon garlic powder, 1 teaspoon salt, and 1/2 teaspoon black pepper. Toss again gently. Pour coated potato pieces in a single layer onto a large baking sheet. Bake at 400 degrees F for 30 minutes, pull baking sheet out and stir the potatoes gently with a spatula (so they don't stick). Put them back in the oven for another 20 minutes. Cool slightly, then serve! There is nothing like a scent that triggers a fond memory, and Air Wick has introduced three fabulous new scents that will make you feel right at home. Cinnabon is a mouth-watering aroma of fresh-baked Cinnabon cinnamon rolls. Snuggle Fresh Linen Fabric Softener fills your home with the smell of fresh laundry. Baby Magic smells like the sweet, unforgettable scent of a newborn baby. I received the Air Wick Scented Oil Warmer and two bottles of Cinnabon Scented Oil. This was my first time using a Air Wick Scented Oil Warmer and Oil, and I was pleasantly surprised at how well the scent diffuses through my entire house. The main part of our house (where I have my warmer) is an open-design including the family room, living room and kitchen, but I could smell Cinnabon cinnamon all throughout my house, even in the back rooms. They are very easy to use! Just unscrew the lid on the scented oil and insert it into the warmer, then plug it into an electrical outlet and enjoy the scent. The warmer is a simple design, so it mostly just blends into the wall area, unnoticeable except for the wonderful aroma. I opened the door today to the delivery guy and he asked me if I was making cinnamon buns! Air Wick’s Familiar Favorites Collection is available in stores now! Visit www.airwick.com for more information about their scented oils, warmers, and tons of other great products to make your home smell fresh and enticing. Be sure to follow them on Facebook for the most up-to-date news and information about new products and promotions. There are thousands upon thousands of beauty products out there, but the best thing a gal can do to look pretty is to SMILE! It's a constant fight for me to keep my teeth white, especially with all of the coffee and tea I drink. I try not to wear plain white shirts because it makes my teeth look even more stained. For the past week, I've been trying out the new Colgate Optic White product line to see how well they can whiten my teeth. I took this first photo on March 19 and then started using the Colgate Optic White Toothbrush and Whitening Pen, Colgate Optic White Platinum Whiten and Protect Toothpaste, and Colgate Optic White WhiteSeal Mouthwash. The toothbrush is no ordinary toothbrush because of the whitening pen, which is designed to snap into the handle of the toothbrush. After brushing with the toothbrush and toothpaste, I pull out the whitening pen and rub it over my teeth (no waiting and no rinsing required), then swish some of the mouthwash and spit. Using the Colgate Optic White products only adds about 15 seconds of time to my old tooth care routine. And it's worth every second! I took this second photo on March 26, exactly one week after starting with the Colgate Optic White products and I've seen a big difference in just a week. My teeth are definitely whiter and I can't wait to see my results after a full 30 days! Best of all, I can buy Colgate Optic White products just about anywhere and it's much more affordable than many other whitening products, especially those provided by dentists. Ready to brighten up your smile? Colgate Optic White Prize Pack! To enter, just fill in the Rafflecopter form below. You must be at least 18 years old and reside in the USA. Only the first entry is mandatory; bonus entries increase your chance to win. 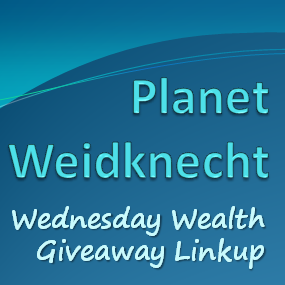 Giveaway ends on 4/15/2014. Good luck! Enter to win a VIP Trip and Styling by Jeannie Mai in LA at http://opticwhitestyle.com/ from March 3 to April 19. One winner and a guest will be treated to 3 days and 2 nights in Los Angeles. The lucky winner will be personally styled by celebrity stylist, Jeannie Mai. During the one-on-one session, Jeannie will be dressing the winner in the latest fashions, accessories and shoes from Walmart. The grand prize winner isn’t the only lucky lady; select runners-up will win prizes such as a $25 Walmart gift card or a Colgate Optic White regimen gift basket. I'm just not a morning person. I almost always stay up too late, so I love sleeping late into the morning. I've discovered over the years that most "blackout" curtains still let in too much light for my late morning snoozes, so I was eager to try the Bedford Blackout Curtains from Marburn. When taking them out of the package, I immediately noticed a difference in Marburn Curtains. They are thicker and heavier than my "old curtains" and honestly, they are much prettier! I took a photo of my old hung curtains (that claimed to be blackout curtains) and then my new Marburn Curtains in the same window so I could compare the two. You can see the comparison photos below. The Marburn Curtains keep out MUCH MORE sunlight than my old ones. I even took the photos while the sun was shining directly on this window! As I browsed through their site at www.marburn.com I also noticed that the price of the Marburn curtains was $20 LESS than the price I paid for my old ones. I am so impressed and can't wait to replace ALL the curtains in my house with Marburn curtains. A good curtain helps to save on energy costs, by helping keep heat and sunlight out in the summer, and by helping keep cold breezes from sneaking in the window edges in the winter. The new Marburn curtains look great and the color looks much better against my wood floors. Visit www.marburn.com for custom looks you want at prices you will love! Besides curtains and drapes, Marburn also offers hundreds of great products for your bed, bath, kitchen and more. Connect with them on Facebook and Twitter, so you'll be first to hear about new products and special promotions! There is FINALLY a bowl for hand mixers! You have no idea how frustrated and angry I get when I use a hand mixer. Not because there is anything wrong with the mixer, but because every time I mix something up, the ingredients go all over the kitchen counter, the floor and my clothes. I've even been known to say a few choice words as I'm cleaning up the sticky floor once again. 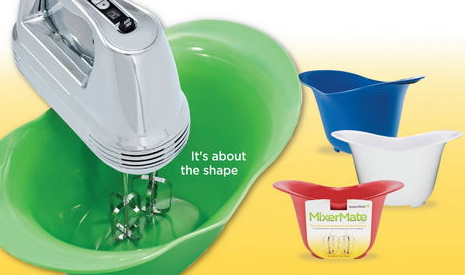 Thank goodness NewMetro Design created the MixerMate Bowl! This amazing bowl is shaped perfectly for hand mixers. The bowl shape is an oval which allows the beaters to fit all the way to the bottom, plus the height of the bowl combats flying batter! Plus, the curved edges on the long sides of the bowl both have a pouring edge. MixerMate gets even better. When you flip the bowl upside down, you'll see that NewMetro Design thought of everything! On the short edges of the bowl, there are hand grips to make holding the bowl even simpler, whether you are a righty or a lefty. Plus the bottom of the bowl has grips to ensure your bowl doesn't go flying while you mix. I absolutely LOVE the MixerMate Bowl and I think every kitchen should have at least one of them on hand. I have used my MixerMate over and over, even if I'm only mixing with my wooden spoon. It comes in five colors - green, orange, blue, red, and white - so you can choose the one that matches your decor! Visit www.newmetrodesign.com to order your MixerMate and see all their other fabulous products that will make you smile while you're whipping up delicious things in your kitchen. Be sure to connect with them on Facebook, Pinterest, and Twitter, then enter below to win a MixerMate Bowl! To enter, just fill in the Rafflecopter form below. You must be a US resident of at least 18 years of age. Only the first entry is mandatory; bonus entries increase your chance to win. Giveaway ends at midnight on 4/15/2104. Good luck! I am so excited to announce that I've been selected as a Caress Fabulista! I just received a gift package from Caress with all these wonderful products to try. I'll be sure to let you know what I think of them! The package contains the NEW Caress Fresh Collection that wraps skin in vibrant scents. This brand new collection includes the Caress Emerald Rush Body Wash and Beauty Bar, the Caress Aqua Sparkle Body Wash, and the Caress Juicy Escape Body Wash.
Also, in the way of exciting news, I've just received word that the fabulous Kelly Rowland is the new celebrity Caress Fabulista! Kelly is excited to inspire women to enjoy every day experiences in a fresh way. She knows how important it is to start every morning feeling fabulous, which is why she uses the new Caress Fresh Body Wash Collection. Her favorite scent is Emerald Rush! I can't wait to discover MY favorite! UPDATE: My favorite new Caress scent is Caress Juicy Escape!!! 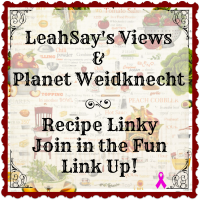 Welcome to our Recipe Linky! - Join us each week as we add new recipes to our Recipe Linky. - Recipes shared need not be 5 star rated restaurant quality to impress. Link up your family’s favorites and maybe find a new family favorite among the recipes listed below. We're always on the lookout for something new to prepare for our families. - Please link back to our blogs or posts. You can also use the button above if you'd like to create a new post, but previously posted recipes are definitely welcome. The recipe needs to be a recipe YOU made. Please do not link to a site other than your own. Combine potatoes, onions, carrots, chicken broth, salt and pepper in a crockpot. Cover with lid and cook on high for 3 hours. At the three hour mark, mix the flour and milk in a small bowl, then pour into crockpot. Add the bacon pieces too, then cover the crockpot again to cook for another 20 minutes on high. Scrumptious! Notes: Store leftovers in fridge. Reheats deliciously! The weekend my daughter graduated from college with her undergraduate degree was the last time we all stood together for a family picture, so it is a treasured photo of mine. It was the one I reached for first to create my stretched canvas print at PrintKEG. Their website is so easy to use and I created my canvas in just a few clicks! I simply selected the size I wanted, then uploaded my photo. A few days later my stretched canvas arrived pre-stretched, mounted, and ready to hang. I'm really impressed with the high-quality wrapped edge, especially on the corners. Looking at the canvas from a slight angle (ie. above photo), I can see the texture of the print, but looking at it straight-on, I see a clear print with all the photo details. PrintKEG also captured all the colors in my photo when creating my canvas. It's remarkably well-made and well-constructed. I think it's absolutely beautiful! Stretched canvas prints are wonderful gifts for any occasion because they are much more personal. Best of all, PrintKeg is affordable! PrintKEG offers more than just fabulous stretched canvas prints, too. Some of their most popular services include booklets, flyers, posters, shirts, and postcards. Visit www.printkeg.com for all your printing needs. You can also follow them on Facebook and Twitter, then enter below to be one of TWO WINNERS to win a stretched canvas print! Win a Stretched Canvas Print from PrintKEG! To enter, just fill in the Rafflecopter form below. You must be at least 18 years old and reside in the USA. Only the first entry is mandatory; bonus entries increase your chance to win. Giveaway ends at midnight on 4/15/2014. Good luck! 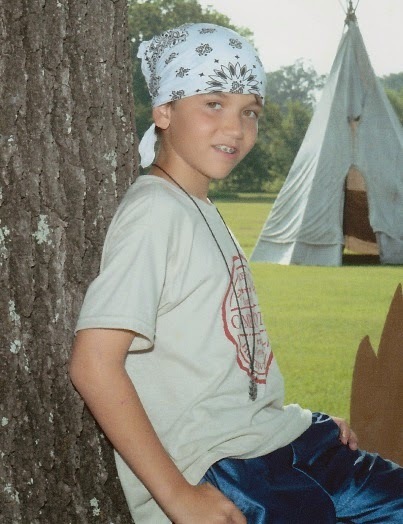 My son at summer camp. Summer camps are such a great experience for kids. It's a return to simpler times, when playing outside was the greatest thing ever. In my opinion, it still is the greatest thing ever, but too many of our kids spend the majority of their time sitting inside somewhere playing electronic games and watching television. My kids all went to camp, as did I when I was young. It was one of the most memorable weeks of my life! Me (on the left) about to board the bus to summer camp. Wondering what kind of activities your child can do at a summer camp? Check out all these great activities offered at Vista Camps in Texas...Water Skiing, Knee Boarding, Wakeboarding, Swimming, Sailing, Canoeing, Kayaking, Paddle Boarding, Football, Basketball, Soccer, Volleyball, Softball, Lacrosse, Aerobics, Tumbling, Martial Arts, Frisbee Golf, Challenge Course, Conditioning, Tennis, Golf, Wrestling, Riflery, Archery, Horseback Riding, Fishing, Trap Shooting, Outdoor Skills, Dance, Cheer, Arts and Crafts, Co-Ed Dance, Animal Care, Drama, Journalism, Scrapbooking, Guitar, and much more! Vista Camps offers Camp Rio Vista for Boys and Camp Sierra Vista for Girls. 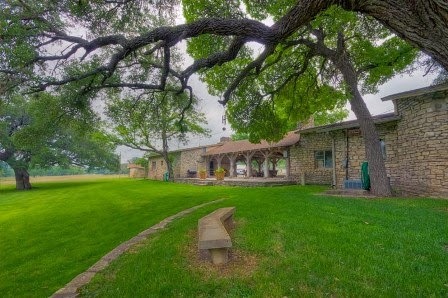 Both are located approximately 7 miles west of Kerrville, Texas, along the beautiful Guadalupe River in the heart of the Texas Hill Country, approximately 70 miles north/northwest of San Antonio and approximately 100 miles west of Austin. 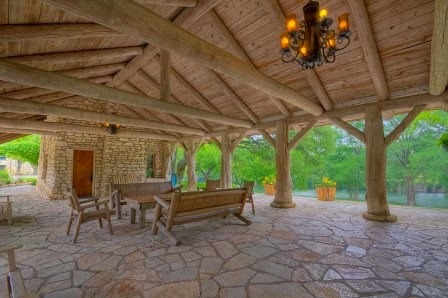 Their facilities are absolutely gorgeous, with all natural stone buildings and cabins, surrounded by the beauty of Texas landscape. Plus, they have been established since 1921, so they are experts at providing a safe, fun, memorable experience for children. Give your children the opportunity to make lifelong friends, learn new skills, and discover how much fun being outside can be (plus it gives mom and dad a summer break from the kids)! Getting kids out in nature teaches them how to love nature, and they will be more likely to grow into adults who care about protecting and maintaining this beautiful world we live in. Everyone wins! 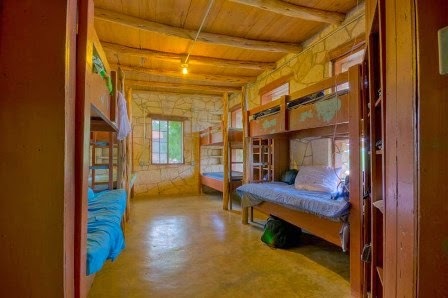 Visit www.vistacamps.com to sign up your happy campers today! If you're still not quite sure if summer camp is right for your kids, sign up for their Family Weekend and Open House on their website. When you register for Vista Camps, tell them Planet Weidknecht sent you and you'll get $100 OFF your tuition! Connect with them on Facebook, Twitter, and Pinterest, then enter below to win a $50 Amazon Gift Card which can be used to purchase camper supplies like a sleeping bag, a flashlight, a water canteen, and a swimsuit. 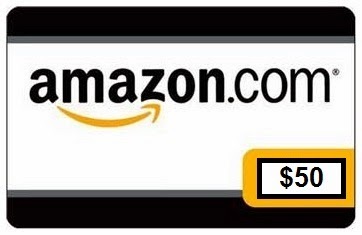 Win a $50 Amazon Gift Card from Vista Camps!